Hold your hands in front of you about 3 feet apart. Now slowly bring them together. Pay attention to the sensations in your hands. As they get closer together, before they actually touch, you may feel something akin to electricity in the palms of your hands. This energy that you feel is the type of energy that a Reiki practioner works with. 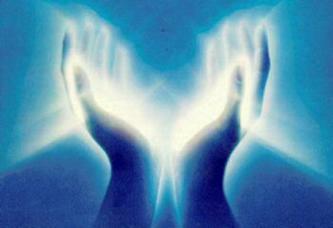 The Reiki practitioner acts as a conduit for directing energy into a recipient and also for removing negative energy. All of this can be done without ever touching the recipient and may even be done at a distance. I am told that Reiki cannot be used to harm but only heal. A Course In Miracles — Online Lessons If you allow cookies, the site will keep track of where you are in the lessons. More books are available on my Books page.